Maison Mumm announced today the special appointment of Usain Bolt, one of the world’s most daring and decorated athletes, as its newest CEO. After months of speculation regarding his next move after his victories in Rio, Mr. Bolt gave a special statement that he will take on one of the biggest challenges of his career as CEO of the number one champagne house in France,1 Maison Mumm. In the video, entitled “Usain Bolt, New Mumm CEO,” the Mumm bottle is dramatically lit atop a pedestal. Mr. Bolt comes into the screen and takes the bottle. He then does the unexpected: he sabers it with one of his gold medals. In his new role, Mr. Bolt will take the lead in ideating unique and daring ways to bring celebrations to consumers everywhere through the energy, intensity and enticing freshness of Mumm. His long-term goal for Mumm will include spearheading initiatives to excite the world and ultimately aid in efforts to make Maison Mumm the top champagne house in the U.S.
Mr. Bolt is supremely qualified to take on the Mumm’s first ever title of Chief Entertainment Officer. His leadership in sport is unparalleled. His pursuit of victory and his well-known personality in sharing the celebrations that follow his wins have entertained legions of fans worldwide. Mr. Bolt’s personal motto – “Anything is possible; I don’t think limits” – aligned perfectly with Maison Mumm’s own motto – “Only the best” – as well as the “Dare. Win. Celebrate.” spirit of the House. Mr. Bolt’s new role is in keeping with Mumm’s pioneering nature and provides evidence of the brand’s propensity to be bold and to do what is unexpected. Earlier this year, Mumm revolutionized and redefined the style of a traditional champagne bottle when it introduced its new bottle design. 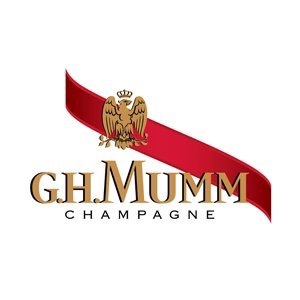 Created by award winning British designer Ross Lovegrove, Mumm Grand Cordon is the most innovative design in the 189-year history of Maison Mumm. The bottle’s revolutionary shape, in particular its long, slender neck, necessitated a whole series of innovations to the traditional champagne production process. Unique to premium champagnes, the bottle has no front label; instead, the G.H. Mumm signature and eagle emblem are screened in gold directly on the glass. Additionally, Maison Mumm has constantly pushed the limits of celebration as well as innovation, having premiered the first digitally connected champagne bottle (which triggers a interactive sound and visual experience in a venue as the cork is popped), and the first drone-powered bottle delivery service by a champagne house. Throughout Mumm’s history, the House has partnered with trailblazers who dare to break with convention, such as supporting explorer Jean-Baptiste Charcot during the first French Antarctic expedition in 1904. Similarly, the appointment of Mr. Bolt is a daring first step in a series of planned exciting engagements between him and Maison Mumm. Those who dare to experience what Mr. Bolt and Mumm conceive are encouraged to stay tuned to forthcoming announcements that are certain to entertain, excite and inspire at www.mumm.com. Next article@StokePark’s Chris Wheeler crowned Hotel Chef of the Year at the Hotel Cateys 2016!